Growing up near Newcastle upon Tyne in England, young Gordon Sumner would help out his father who made early morning deliveries as a milkman. Gordon’s “best friend” at the time was an old Spanish guitar with only five strings, left to the family when his uncle moved to Canada. Growing up, he worked in construction and transportation and could sometimes be found sneaking into nightclubs to catch shows by Jimi Hendrix or Cream. Eventually he studied for and got a job as a schoolteacher. But whenever he wasn’t working or studying or teaching, he’s play whenever and wherever he could, usually with local jazz groups. Another Gordon, Gordon Solomon, bandleader of the Phoenix Jazzmen once commented that young Mr. Sumner’s black and yellow striped sweater made him look like a wasp and one of the ensuing nicknames, “Sting,” stuck. Sting moved to London in early 1977 where he, drummer Stewart Copeland and guitarist Andy Summers formed The Police. During the next seven years the band would have five extremely successful albums and six Grammy awards. The Police would also evolve their sound from its early punk roots to a complex synthesis of rock, reggae and pop that appealed to just about everyone. An invitation to play at Amnesty International’s big benefit, The Secret Policeman’s Other Ball, in September 1981, his first live solo performance, led to Sting’s getting more involved with political causes and social work. These influences would turn up in his songwriting as well, as evidenced in the last two Police albums, Ghost in the Machine and Synchronicity. After Synchronicity, the band mates decided to focus on solo projects and 1985 saw the release of Sting’s first solo CD, The Dream of the Blue Turtles, which included some big names in jazz, such as saxophonist Branford Marsalis and bassist Darryl Jones, who would later become Bill Wyman’s replacement in the Rolling Stones. The forming of the band, as well as its first concert was documented in Michael Apted’s film Bring on the Night. 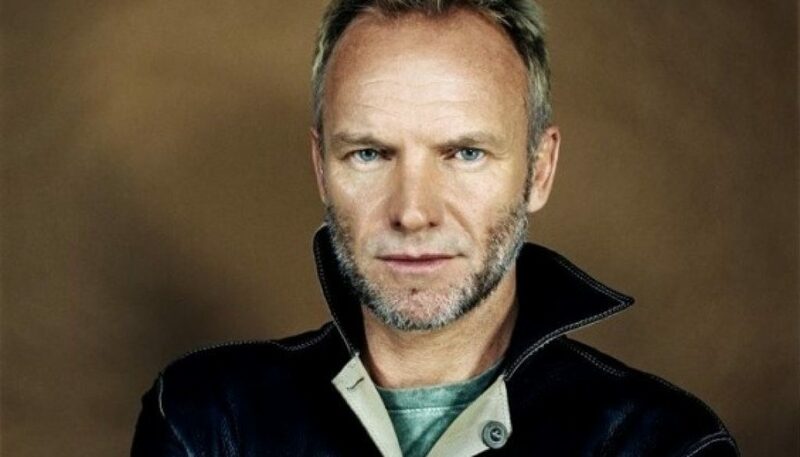 Sting’s subsequent albums through the next fifteen years, Nothing Like the Sun, The Soul Cages, Ten Summoner’s Tales (which had the hit Fields of Gold), Mercury Falling and Brand New Day have all been nothing short of memorable. He spent much of 2007 and 2008 touring with the reunited Police and released a new solo album, If on a Winter’s Night late 2009. And thank you for your kind words concerning my arrangement of “Fields of Gold.” Hopefully someday we’ll be able to get that one back up online. Concerning “It’s Probably Me” – I got to know this song four years ago when I was asked to play bass on it for a performance. I’ve never came up with my own single-guitar arrangement for it, but I think that might be a good project for the summer! This is what I can tell you: The essential structure of the song is a verse of three parts – in many ways it’s much like the typical twelve bar blues format, although with much more ornate chords and with ten measures substituting for the final four. and then two measures of Em7 (although the synthesizer seems to be adding the 11 to the chord). There are then solos taking place over the “verse – part 1” progression and eventually all three parts get played again for the final verse. It’s a bit of an understatement, but there are some complicated chords to deal with in this song. And the guitarist on the original recording is not always playing the full chord indicated. Sometimes just parts of it and sometimes even just one or two notes. A single-guitar arrangement of this is going to be very dependent on the guitarist and on whether or not that guitarist is also singing the song. One thing to keep in mind is that a lot of these chords have E, B, G and D notes in them, so making use of the open high four strings whenever possible is a good thing. I hope this helps get you started. It’s definitely got me started! I’m still eagerly waiting for the “completed version” of the above discussed song. :-) It’s really very difficult to decipher the chord voicing that would near-exactly go with the flow of the music while one is singing as well. I don’t know whether these are correct voicing but I did come up with the following.